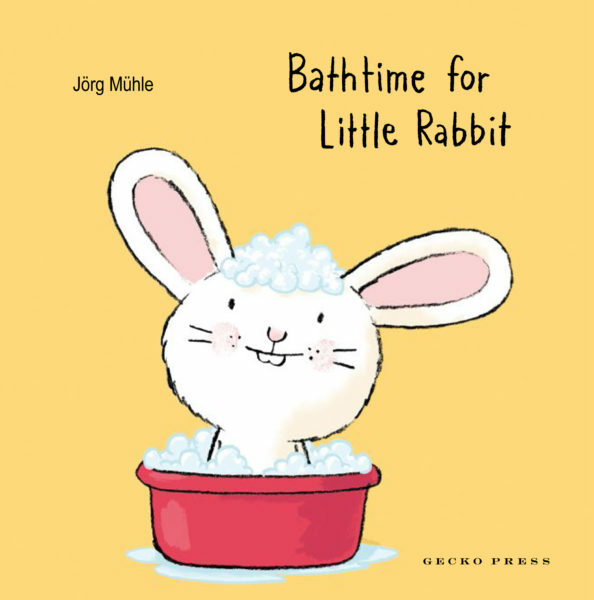 Bathtime for little rabbit by Jorg Muhle @geckopress : fun little board book for babies on the joys of bath time. This is a fun follow-up to Tickle my ears. What I love about this wee board book is that readers are encouraged to interact with little rabbit and participate in his bath time routine. Children are able to help rabbit as he takes his bath. After his bath rabbit needs more help, especially when it comes to getting dry. Lots of chances for little ones to purse their lips and blow. Rabbit is cute and just plain gorgeous and this will be a favourite not just for wee ones but for parents too. While Tickle my ears was a fun interactive read for setting up a bedtime routine, little rabbit’s latest book will be great for helping set up a bath time routine. 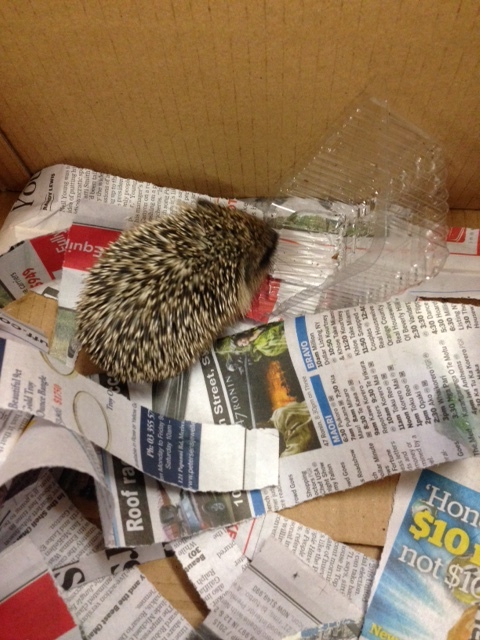 Young ones see just how easy and safe it is to have a bath and have heaps of fun too. A lovely, warm and reassuring book to share and enjoy. Between 2007 and 2009, the dolphin Moko lived and played in the sea near The Pathway of the Whales at Mihia. The singing dolphin: Te Aihe i Waiata was inspired by Moko’s time there. This a traditionally told bilingual picture book about a grandmother and her three grandsons. Tahi knows the land, Rua knows the waters but the youngest one, Potoki spends his time singing. He badly wants to join his brothers catching fish but they always tell him he is too little. 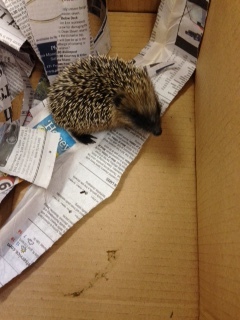 One night Potoki hides under the fishing net in the canoe but the following day something terrible happens. Like many traditional stories there is a lyrical quality to this story and I can just imagine sitting around listening to a grandparent sharing this story with grandchildren. Beautifully illustrated with the the most natural of colours. Earthy browns, forest greens and deep sea blues, interwoven with many Maori motifs make this a very special picture book. 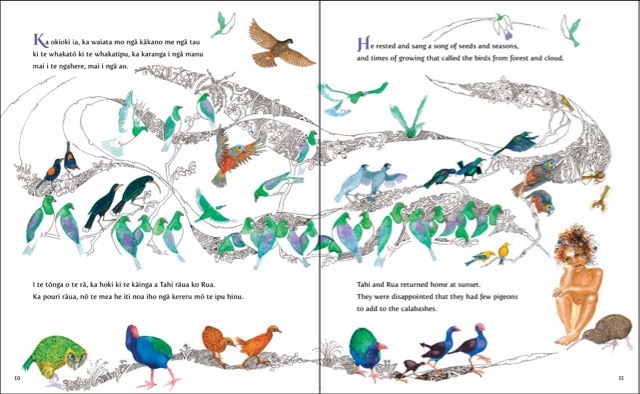 I especially love the double spread with the wood pigeons, and pukeko as well other native birds. A good choice for all school libraries. Poor Granny is trapped inside her burning house with flames shooting through the windows. The big fire engines come racing to put out the fire but find themselves in trouble. 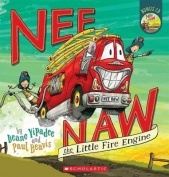 It is up to the little fire engine Nee Naw to save the day. Another funny tale from Deano Yipadee with bright bold illustrations from Paul Beavis. You can read on its own or singalong with the CD. I shared this today with some student librarians who thought it was a great choice for younger children.